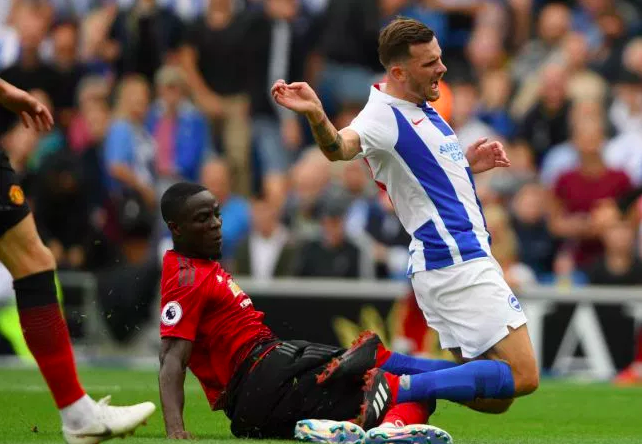 Home > News > Manchester United vs Brighton: All The Talking Points. Manchester United vs Brighton: All The Talking Points. It seemed so familiar- a homely English club, a small stadium generating a raucous atmosphere and a team with a blue-white top. Manchester United faltered for the first time in their last campaign at the John Smith Stadium to Huddersfield Town. United fans were nervous, and rightly so. Their team had lost at the Amex, home of Brighton and Hove Albion, at the tail end of last year. This is the sort of banana peel United have slipped on repeatedly under Jose Mourinho, but by the end of the fixture, this seemed no slip. This felt like the start of a slide down a dark, all too familiar slope for their boss. A first half where United let in 3 goals for the first time under Mourinho reflects that a deep rot lies inside. Mourinho’s teams are resolute and stifle spaces. They like to defend in banks of four, and get rid of the ball in a hurry to their counter-attacking wingers. Mourinho believes that the longer your opponent has the ball, the likelier they are to err on possession. In short, having the ball implies a risk of getting turned over in critical zones. As their neighbours racked up 33 efforts and six goals playing keep-ball in the day’s first game, United had to be at the races to keep pace. Yet the errors United committed in the first half were scandalous. United are the only team in the top six that do not press the ball. Yet while Jose’s teams offset this with good organisation, it still works only subject to good individual defensive performances. 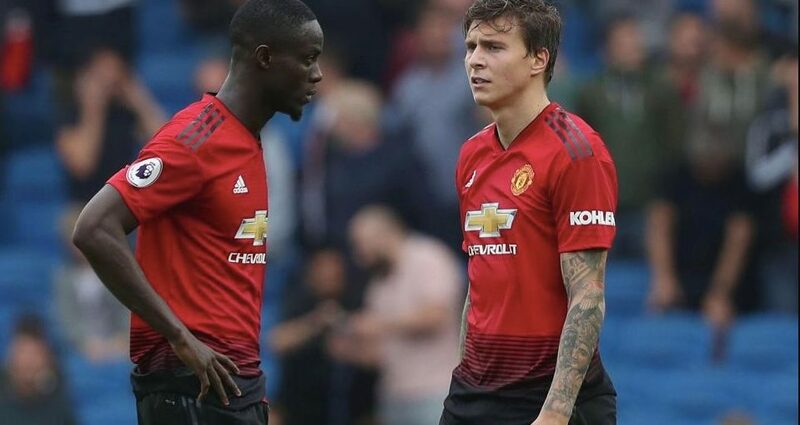 Eric Bailly and Victor Lindelof had nothing in their performances remotely close to what is expected from a Manchester United player. Whether this is due to the lack of their game time, or something much bigger and worrying, will become clear in the coming weeks. The casualness from Bailly in giving away a corner for the second and his reckless tackle for the third after a foolish David de Gea goal-kick reflect a really poor mental readiness for the game. And it seemed to be running throughout. Mourinho has been dour and irritable all summer, and one wonders whether his demands are falling on deaf ears in the dressing room. United’s midfield 3, who had created a wave after their first game were diabolical this time. 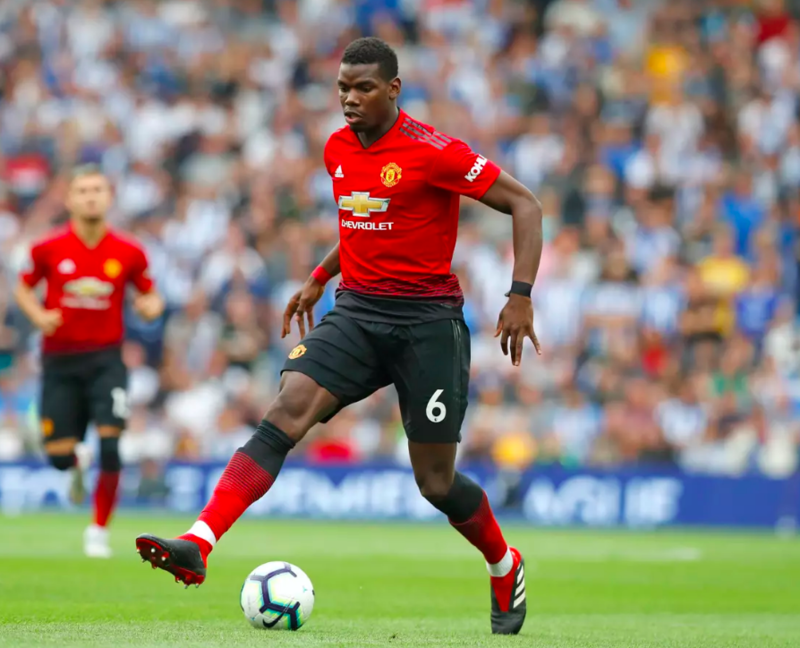 World Cup winner Paul Pogba struggled at times with five-yard passes and proved hopeless in possession. He and his manager have washed their dirty linen in public, and there appear to be cracks between the pair. For Brazilian Fred, this was a brutal wake up to the pace and competitiveness of the league, with his losing the ball starting the move for Brighton’s third. Anthony Martial, who so many of the club’s fans wanted to see, offered very little in a disappointing performance. Of larger worry is how quickly United switched off after Romelu Lukaku’s goal made it 2-1 and afforded them a route back into the game. United were never at it. Mourinho brought on Marcus Rashford and Jesse Lingard halftime, for the invisible Juan Mata and their defensive playmaker in Andreas Pereira. This was the kitchen sink, or so it seemed. United have come back before, even under their current boss. Think of Selhurst Park and even the Etihad. But somehow, incredibly, this half was worse. United seemed to have no attacking ethos, identity or composure. Passes flew aimlessly wide, and the movement and running seemed perfunctory. There were times aplenty when United laboured forward and shifted it side to side, unable to break lines in behind. Mourinho turned to his favourite get out of jail card, and bought on Marouane Fellaini. United seemed to abandon any attempt to play football. They went long, crudely and immediately, chasing the game. Pogba, used to finding the rapid runs of Mbappe in Russia, was back to doing something all too familiar. But there was no goal in it, until Fellaini was clipped in the dying embers and Pogba tucked home from the spot. There have been a lot of issues at the club over the summer. Most evident are the bust-ups Mourinho has had with Martial and Pogba, as well as the failure in the summer transfer market and Mourinho’s own grim mood. But while United fans will rage and rant at Ed Woodward and the Glazers, this was no Manchester City or Liverpool or Barcelona. United did not need Toby Alderweireld or Willian for this game. Their starting XI was certainly capable enough. And yet, in a second half, effectively with six attackers on the pitch, United did not carve out a single chance. While the players did have a bad game, that is certainly largely down to the coaching. For all the names on paper, United are awfully pedantic and predictable. There is no leadership, identity or aura around the club. Mourinho has now reached a tipping point where his style does not match the club’s natural inclination. Fans of the club swallowed the bullet, expecting the guaranteed trophies. But when there isn’t good football, one bad result can always lead to gloom and disaster. The relationship Jose is enjoying with his squad might well be strained. As for him and Pogba, there appears to be an uneasy truce for the moment. fanUnited fans will hope that the pair gets back to Carrington and knuckle down. There has been a lot written, and the club is led by big egos on and off the pitch. When United play Spurs, the world will wait to see if these differing personas can read off the same sheet.